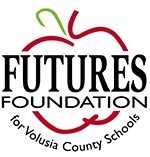 FUTURES Foundation for Volusia County Schools recently received $10,660 through the generosity of Rock Bottom Restaurant and Brewery Daytona, its CraftWorks Foundation and individual donors who attended Rock Bottom Daytona’s three day pre-opening events at One Daytona. 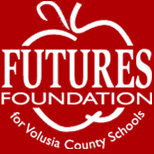 Rock Bottom Daytona’s General Manager, Hector Ramos, selected FUTURES as the beneficiary of the events as his children are attending Volusia County Public Schools. Rock Bottom teammates shared information about FUTURES, provided donation envelopes while serving complimentary meals, and Rock Bottom donated all alcohol sales to FUTURES Foundation through its charitable organization, CraftWorks Foundation. CraftWorks Foundation handles the corporate giving for CraftWorks Restaurants & Breweries Inc., which operates 200 restaurants under multiple brands. The largest brands include Rock Bottom Restaurant & Brewery, Old Chicago Pizza and Taproom, Gordon Biersch Brewery Restaurant and Big River Grille & Brewing Works. The Foundation was established to facilitate their restaurants’ local charitable efforts. The CraftWorks Foundation also manages an emergency crisis fund that helps team members who are coping with immediate challenges that impact their ability to maintain financial stability. Pictured, left to right, are Rock Bottom General Manager Hector Ramos, FUTURES President Paula Gregory, Take Stock in Children Student Services & Mentor Coordinator Shimene Shepard, FUTURES Executive Director Cynthia Ramirez and FUTURES Vice President Jeff Brok.